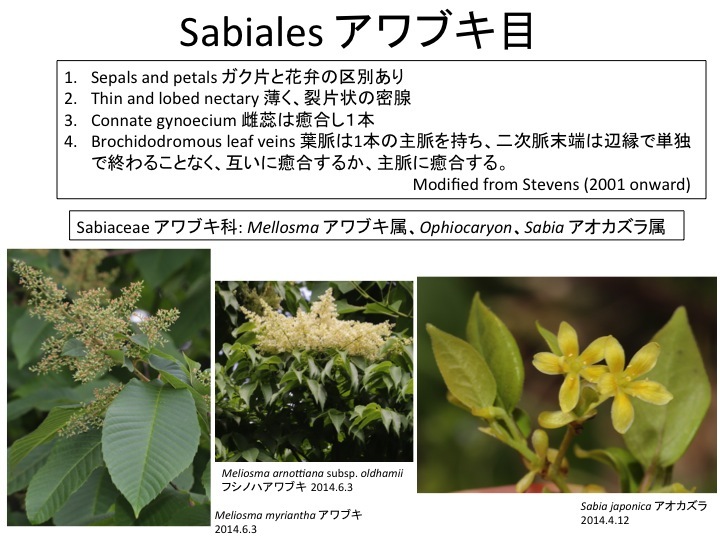 The Sabiales is composed of a single family the Sabiaceae, which is mainly distributed in tropics of Southeast Asia and Central and South America. 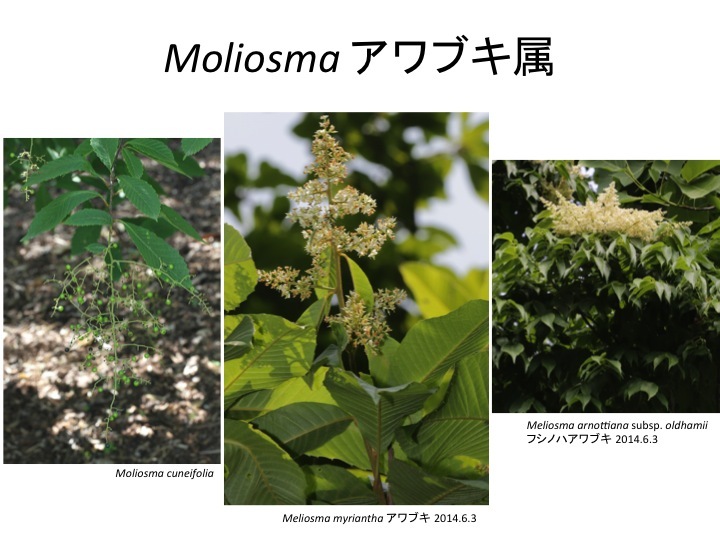 Meliosma includes approximately 25 to 70 species and is distributed in tropical areas of Southeast Asia and Central and South America (Ronse De Craene and Wanntorp 2008). Ronse De Craene, L. P. and Wanntorp, L. 2008. 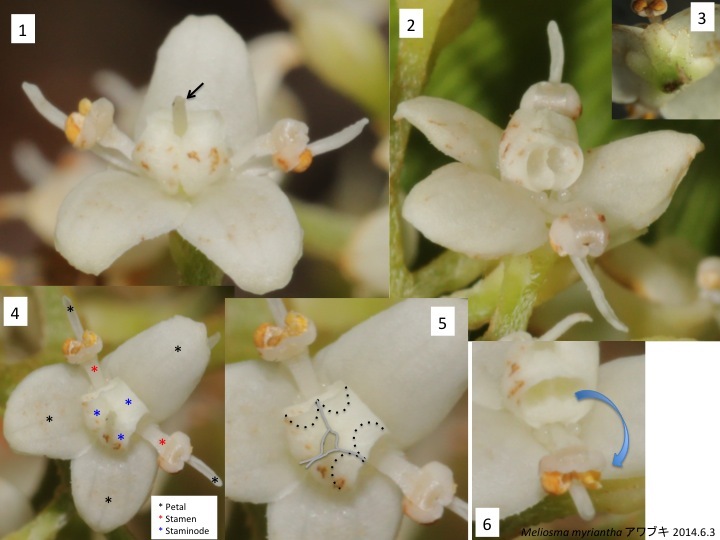 Morphology and anatomy of the flower of Meliosma (Sabiaceae): Implications for pollination biology. Plant Syst. Evol. 271: 79 – 91. A flower of Meliosma myriantha is composed of spirally arranged five sepals (Fig. 3), three large and two thin petals (Black asterisks in Fig. 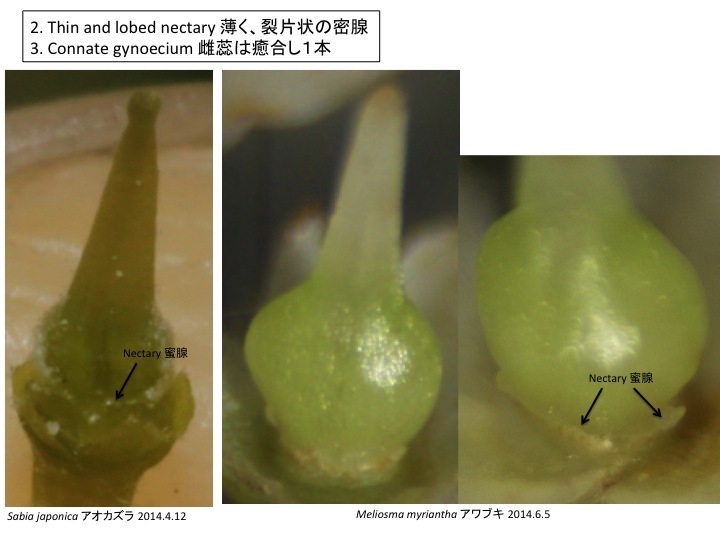 4), two stamens with two thecae with a locule (red asterisks in Fig. 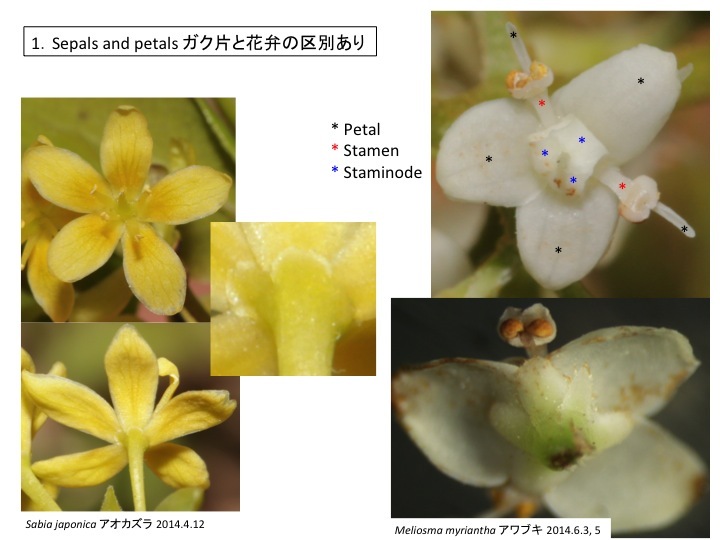 4), three staminodes (blue asterisks in Fig. 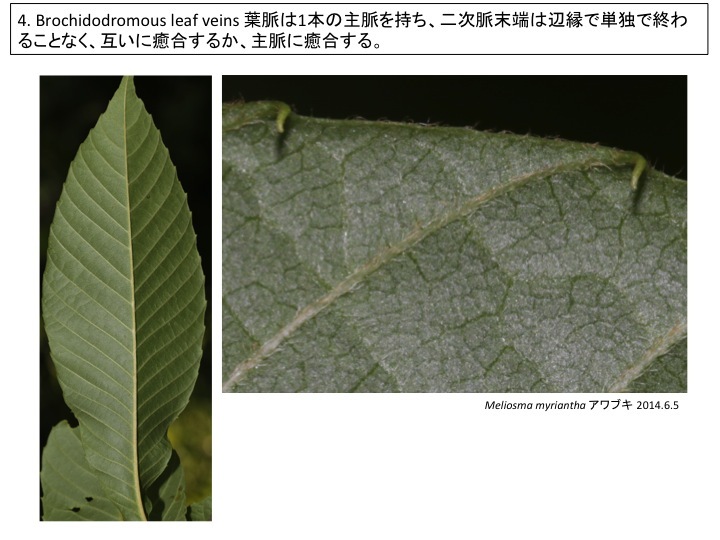 4; borders of three staminodes are indicated by gray lines), and a gynoecium whose pistil is protruded among staminodes (an arrow in Fig. 1). When stamens are matured, filaments are inverted outward and anthers hit against thin petals, which is effective for pollen presentation (Ronse De Craene and Wanntrop 2008). Hollows in staminodes fit anthers. 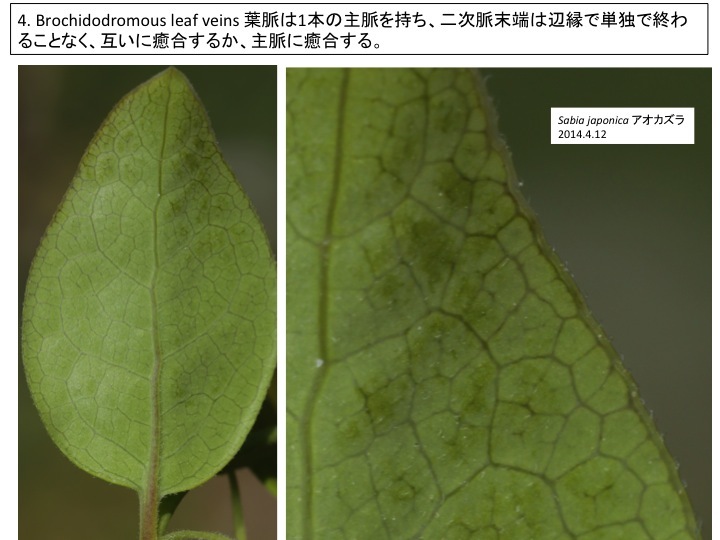 The mechanism how to adjust the size, that is morphogenesis caused by interaction between two organs, is unknown. 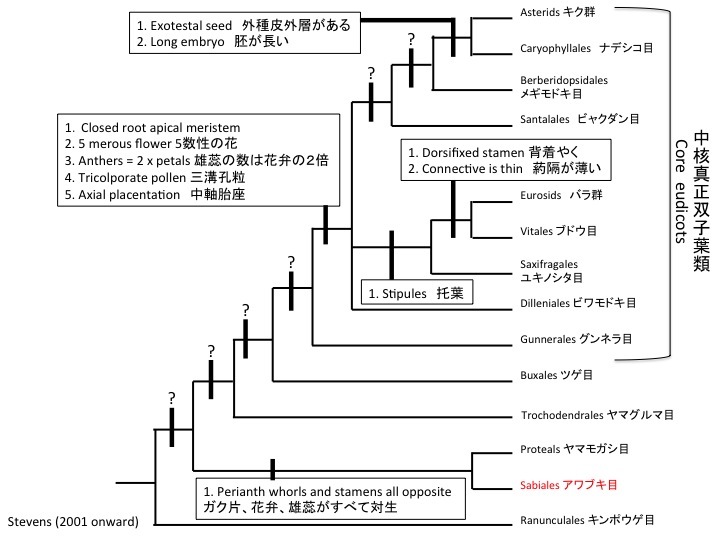 It is also interesting to know the mechanisms to make different types of petals as well as stamens and staminodes.